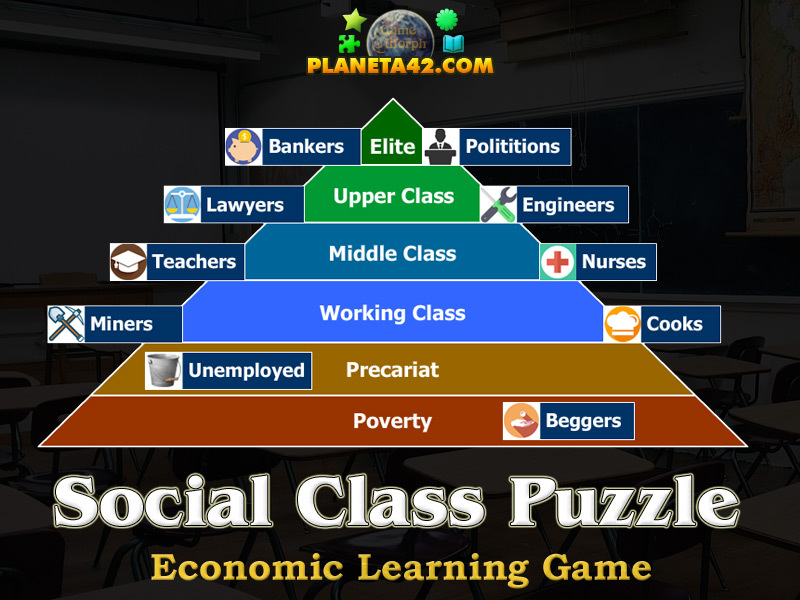 "Social Classes Puzzle" is a free online game to study the social classes and their properties. Sort the jobs in the correct stair in the social class pyramid. Fun educational economic game, suitable for online lessons and interactive classes. Drag and drop game. Interactive economics learning. Types of social classes worksheet. How to play Social Classes Puzzle. There is the social class pyramid in the center of the screen. Roll over any class to see 3 main properties that define the selected social class - investments, savings and debts. At the top of the screen there are 12 types of jobs, professions or other property of people. Drag and drop them in the correct stair in the pyramid over the class name. Sort all 12 jobs to win the game and see how well you are doing according to the "Tries". Know the social classes and get +1 Knowledge Level. The precise measurements of what determines social class in society has varied over time and different cultures and countries varied in the measurements to define in which class do people fall. 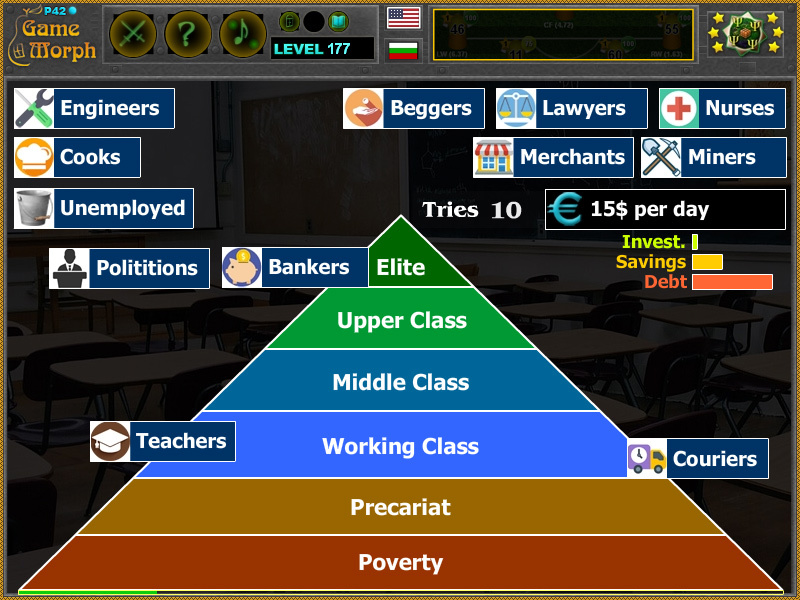 This game represent an example how people with different professions or social status are referred to the economic classes. 1. What people in which social class? 3. Which are the types of social classes? Labels: Puzzles , Economics Classrom Games , Economics Games , Education Games , Free Online Games.